iEARN (The International Education and Resource Network) is pleased to announce that the 2018 International Conference and Youth Summit will be hosted by iEARN-USA in Winchester, Virginia from July 8 - 14, 2018. 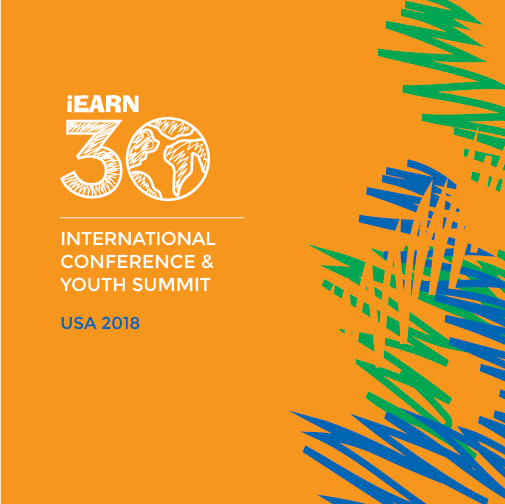 The 2018 International Conference and Youth Summit will coincide with the 30th Anniversary of iEARN, which started in 1988 with the first project collaborations between schools in New York and schools in Moscow. Since then, more than 140 countries, 200,000 educators, and 2 million youth have connected through iEARN projects. The iEARN annual conference is an important, in-person gathering to celebrate ongoing virtual work and has been hosted by a different country each year since 1994. The conference was most recently held in Morocco (2017), Brazil (2015), Argentina (2014), and Qatar (2013). Last year, the conference brought together more than 300 educators and students from 43 countries. The theme for the 2018 conference, “Global Collaboration for Sustainable Development”, will celebrate iEARN’s 30-year history of people and projects that have changed the world while also envisioning a future where educators and youth work together to build a more peaceful and sustainable world. As of 2015, all iEARN projects align with the United Nations Sustainable Development Goals (SDGs). The 2018 conference will bring together educators, students, and partners to meet and discuss how they will continue to achieve SDGs through global, collaborative project work. The host venue for the conference, John Handley High School, is located in Winchester, Virginia, 100 kilometers west of Washington, D.C. John Handley High School teachers and students have been active iEARN participants for the past three years and the school was voted “Most Beautiful Public High School” in Virginia by Architectural Digest Magazine. The conference website is now available at iearn2018.org including information about the conference theme, venue, registration, travel, proposal submissions. Please sign up for our mailing list to receive conference announcements by email and follow iEARN-USA on social media for updates.